A porcupine’s quill barbs may be microscopic, but they have mighty staying power. Ask any curious dog who’s run afoul of a porcupine. Some researchers are hoping to translate that natural ability into improved needles. 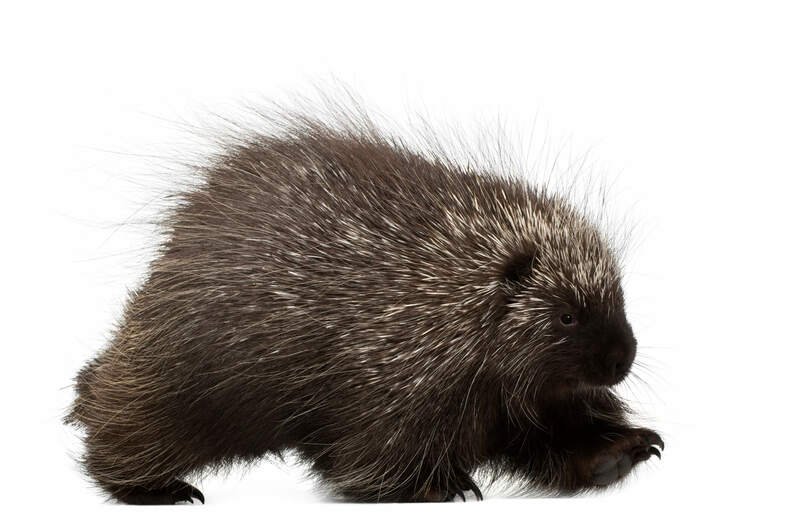 In particular, a team of researchers at Harvard looked at the North American porcupine, which has about 30,000 quills covering their back as a defense against predators. More importantly, their quills have barbs, unlike their African counterparts’. This porcupine quill’s thinness and flexibility is deceptive. Don’t dare call them flimsy. Backwards-facing and staggered alongside smooth scale-like structures, the barbs help the quill slide easily into flesh. Like a serrated knife, they’re effective slicers in soft surfaces—in the case of the serrated knife, bread and tomatoes, and in this case, tender human flesh—because they concentrate force at the tip. Once they are lodged in flesh, the opposite is true: The quills pop out like an umbrella, making them difficult to remove. The barbs’ seemingly opposing forces are the crux of the matter. “This is the only system with this dual functionality, where a single feature—the barbs—both reduces penetration force and increases pull-out force,” Jeffrey Karp, the research team’s leader and a bioengineer at Brigham and Women's Hospital in Boston, told National Geographic. The team’s tests revealed that the barbed quills need only half as much force to penetrate as barb-less quills. On the flip side, it took quadruple the force to get them back out again. All of these assets can be utilized to design a next-generation needle. Less painful flesh entry can make a flu shot or other vaccines less intimidating to get, for example. Or less force needed for vascular tunnelers can better help doctors navigate delicate blood vessels to prevent collateral damage, according to Karp. On the flip side, mimicking a barb’s sticking power could be ideal to accommodate a patient’s movements while on an I.V. drip. Or those of a soldier on a battlefield that needs to get to a treatment facility. The same barb tech could also make for drug delivery adhesives that stay on better or more effective surgery staples. Getting such successful staples back out again then is the sticky part. Karp’s idea: Biodegradable barbs that last only as long as they’re needed.